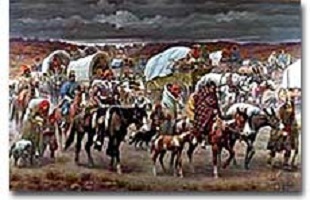 Over 20,000 Cherokees were forced to march westward along the Trail of Tears. About a quarter of them died along the way. Not everyone was included in the new Jacksonian Democracy. There was no initiative from Jacksonian Democrats to include women in political life or to combat slavery. But, it was the Native American who suffered most from Andrew Jackson's vision of America. Jackson, both as a military leader and as President, pursued a policy of removing Indian tribes from their ancestral lands. This relocation would make room for settlers and often for speculators who made large profits from the purchase and sale of land. 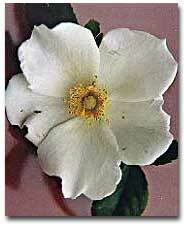 According to legend, a Cherokee rose, the state flower of Georgia, grew in every spot a tear fell on the Trail of Tears. Today the flowers grow along many of the trails that the Native Americans took West. Indian policy caused the President little political trouble because his primary supporters were from the southern and western states and generally favored a plan to remove all the Indian tribes to lands west of the Mississippi River. While Jackson and other politicians put a very positive and favorable spin on Indian removal in their speeches, the removals were in fact often brutal. There was little the Indians could do to defend themselves. In 1832, a group of about a thousand Sac and Fox Indians led by Chief Black Hawk returned to Illinois, but militia members easily drove them back across the Mississippi. The Seminole resistance in Florida was more formidable, resulting in a war that began under Chief Osceola and lasted into the 1840s. Sequoyah, the child of a Native American woman and a white settler, came up with the first Cherokee alphabet in the early 1800s. By 1821 the Cherokee Nation had officially recognized this form of writing and thousands of Cherokee became literate. The Cherokees of Georgia, on the other hand, used legal action to resist. The Cherokee people were by no means frontier savages. By the 1830s they developed their own written language, printed newspapers and elected leaders to representative government. When the government of Georgia refused to recognize their autonomy and threatened to seize their lands, the Cherokees took their case to the U.S. Supreme Court and won a favorable decision. John Marshall's opinion for the Court majority in Cherokee Nation v. Georgia was essentially that Georgia had no jurisdiction over the Cherokees and no claim to their lands. But Georgia officials simply ignored the decision, and President Jackson refused to enforce it. Jackson was furious and personally affronted by the Marshall ruling, stating, "Mr. Marshall has made his decision. Now let him enforce it!" Finally, federal troops came to Georgia to remove the tribes forcibly. As early as 1831, the army began to push the Choctaws off their lands to march to Oklahoma. In 1835, some Cherokee leaders agreed to accept western land and payment in exchange for relocation. With this agreement, the Treaty of New Echota, Jackson had the green light to order Cherokee removal. Other Cherokees, under the leadership of Chief John Ross, resisted until the bitter end. 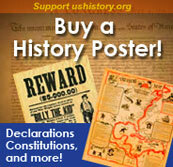 About 20,000 Cherokees were marched westward at gunpoint on the infamous Trail of Tears. Nearly a quarter perished on the way, with the remainder left to seek survival in a completely foreign land. The tribe became hopelessly divided as the followers of Ross murdered those who signed the Treaty of New Echota. The Trail of Tears is the most sorrowful legacy of the Jacksonian Era. The Cherokee weren't the only tribe forced off their ancestral lands by the United States government. The Chocktaws were moved west to a reservation in Arkansas. Read the text of the treaty of 1830 between the Choctaw Nation and the United States which dictated the terms of the move. When the Indian Removal Act was passed, three of the Five Civilized Tribes left peacefully, and the fourth, the Cherokees, fought their case in court. But the Seminoles fought their case on the battlefield and many remained in Florida. This illustration-filled article written for Absolutely Florida magazine sketches the history of the Seminoles and their fierce resistance to President Jackson's efforts to relocate them west to Arkansas and Oklahoma. 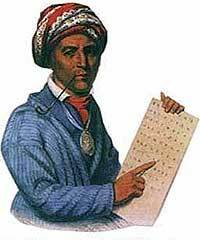 Sequoyah, the inventor of the Cherokee alphabet, was the disabled son of a Cherokee princess and a Virginia fur trader. After fighting in a war with the Creek, Sequoyah realized that his people needed a more permanent way of recording their thoughts. Within 12 years, the Cherokee nation had officially adopted Sequoyah's writing. This biography from North Georgia Notables traces Sequoyah's life and story. The Seminole Tribe of Florida can trace their history back 12,000 years. See the official Seminole website which traces their history in Florida from settlement through the move to the reservation, until today. Short, easy-to-read articles punctuated with small illustrations mark this useful, navigable website. This fact-based fictional account of the Trail of Tears could elicit tears from the most jaded reader. The story was written by the great-grandson of a survivor of the trail, and is written from the survivor's point of view. While the details may not be straight from the source, the fact remains that one little boy was forced to walk the Trail, leaving behind his home and losing both parents on the way. Nu na hi du na tlo hi lu i is the Cherokee name for the Trail of Tears, which literally translates to "The trail where they cried." This website from the Cherokees of California nonprofit group tells the history behind the forced removal of the Cherokees from Georgia. Complete with quotes from the Cherokees, Jackson, and soldiers in charge of the move, this website is riveting although not visually stimulating. The Seminoles were considered one of the "Five Civilized Tribes" so called because they adopted many ways of the white civilization. The others were the Choctaws, Chickasaws, Creeks and Cherokees. How would you feel if you were on the Trail of Tears? Read one Cherokee boy's story as told to his great great grandson. My friends, circumstances render it impossible that you can flourish in the midst of a civilized community. You have but one remedy within your reach, and that is to remove to the west. -Andrew Jackson. In 1831 the Supreme Court decided that the Cherokee Nation wasn't really a nation.